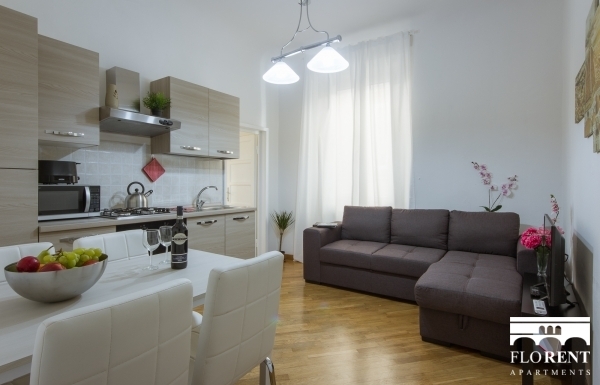 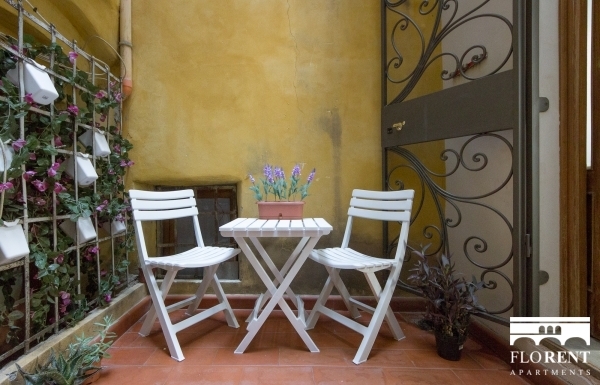 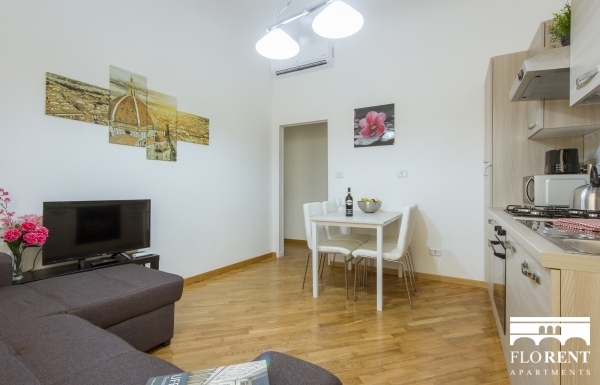 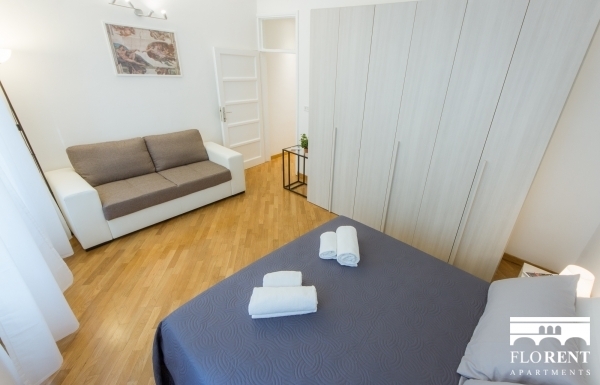 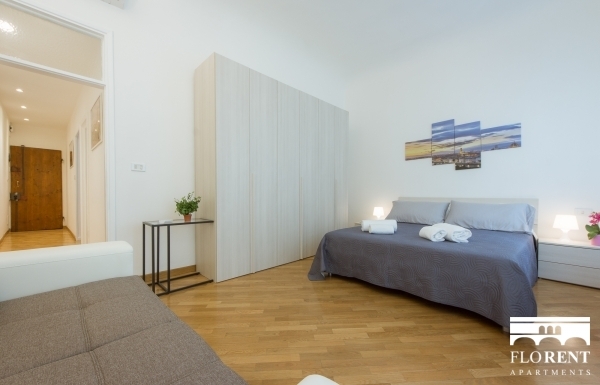 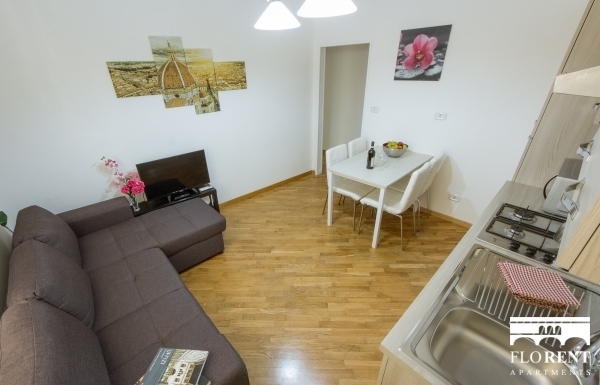 Brand new apartment located in via dei Canacci, steps away from the central train station and from Santa Maria Novella square. 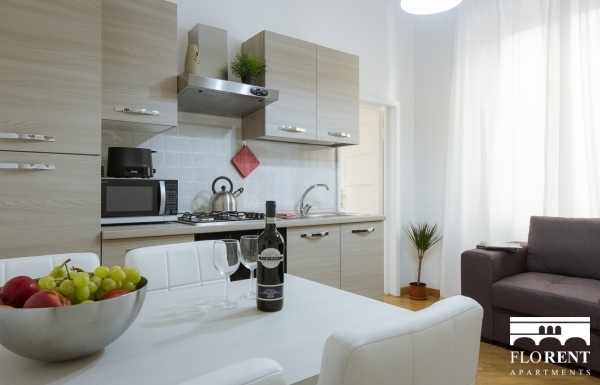 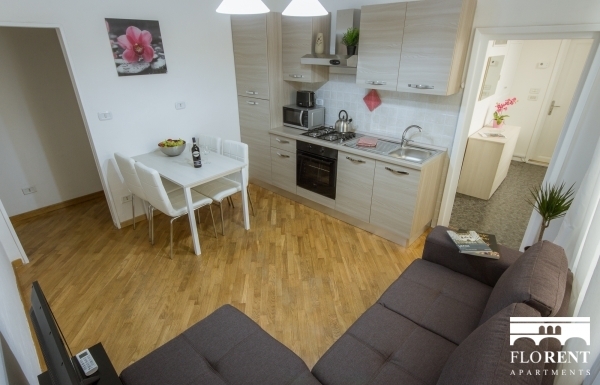 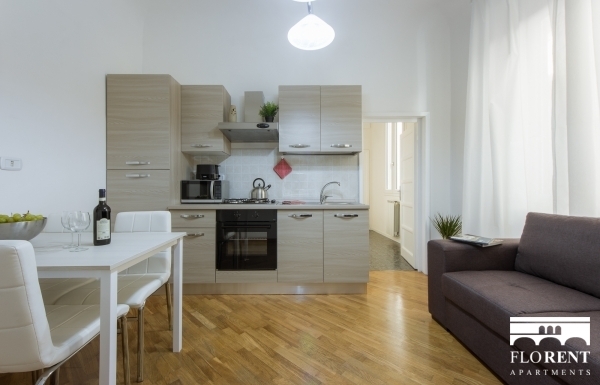 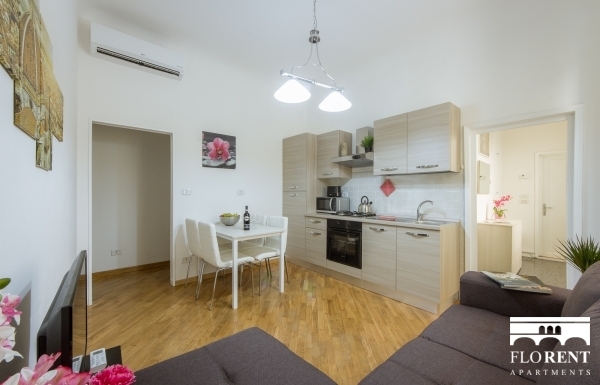 This stylish two bedroom apartment can host up to 6 people, and comes with two double bedrooms and one double sofa bed in the living room. 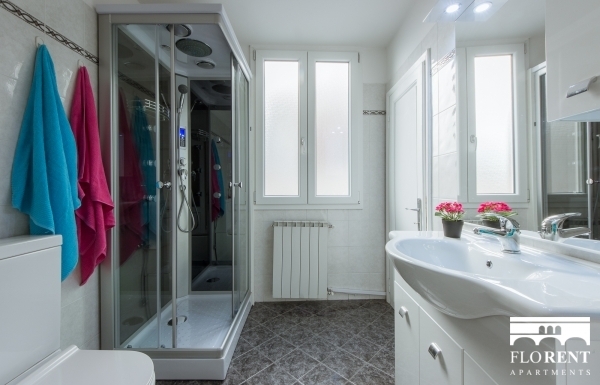 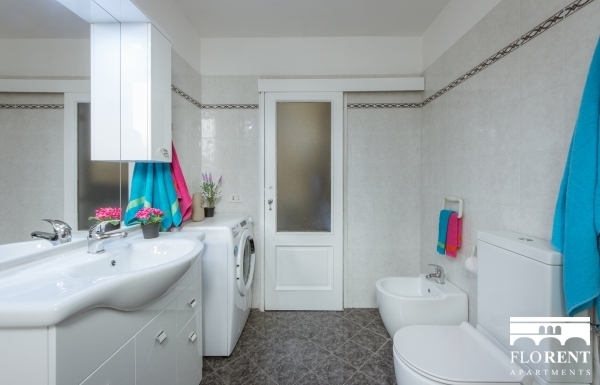 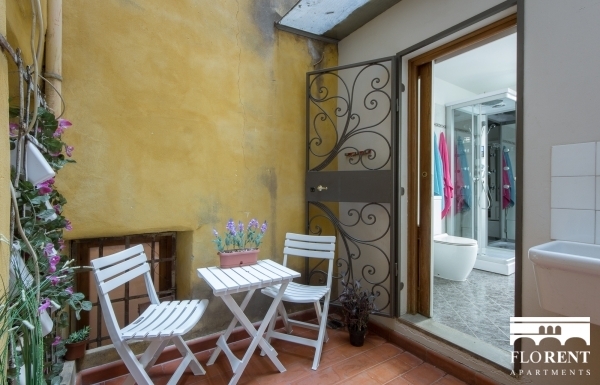 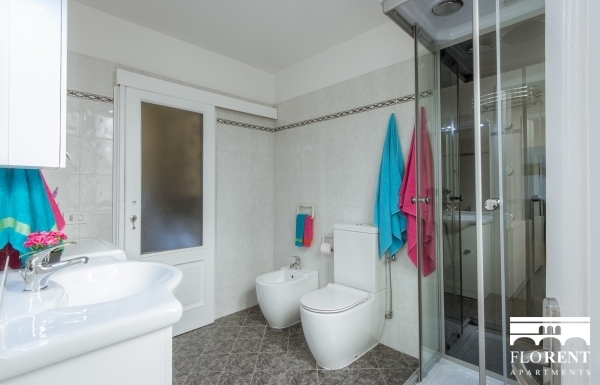 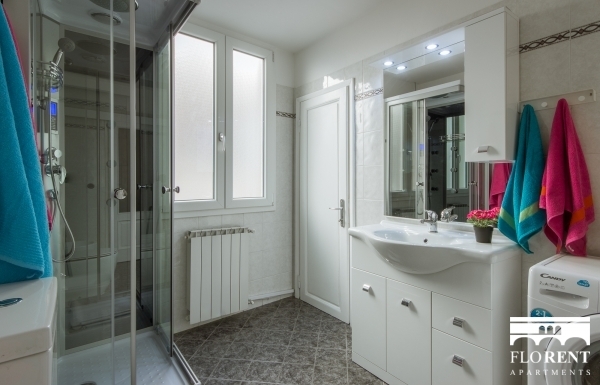 The apartment is equipped with lots of amenities (from strong wifi connection to air conditioning, from microwave oven to TV), but a big plus is represented by its top notch bathroom. 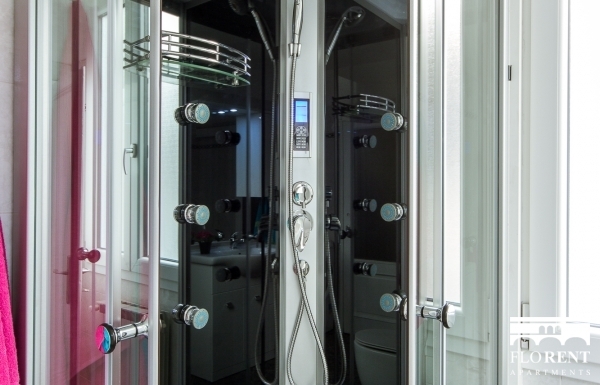 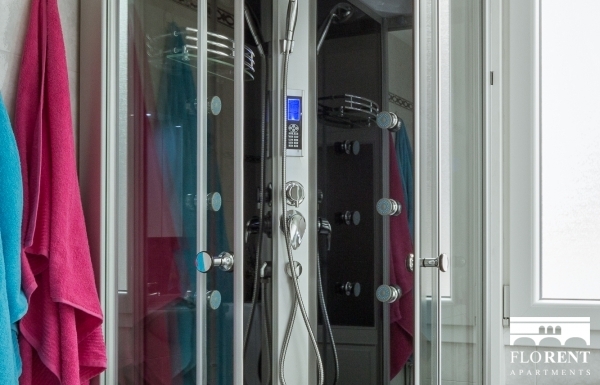 The shower with hydrotherapy and 8 shower jets also comes with an incorporated radio, for you to relax and enjoy music after a tiring day visiting Florence.